Vacation bench of the Karnataka High Court has adjourned AIADMK supremo Jayalalithaa’s plea for suspension of the suspension and immediate bail in the Disproportionate assets case. Justice Rathnakala considered it appropriate for the matter to be heard by a regular bench and hence confirmed the period of Jayalalithaa’s stay in jail for the next 6 days. The High Court is on Dasara holidays from September 29 to October 6. October 7 is also a government holiday on account of Bakrid. "A regular bench of the high court should hear the petition, as it is not appropriate for the special bench to consider the matter, which requires a thorough review," Rathnakala reiterated. Special Public Prosecutor Bhavani Singh filed objections to Jayalalithaa’s pleas, and also a memo with regard to his appointment as the SPP in the case. Singh had informed the Court that he wasn’t given any official notification regarding his appointment as the SPP for the criminal appeal. 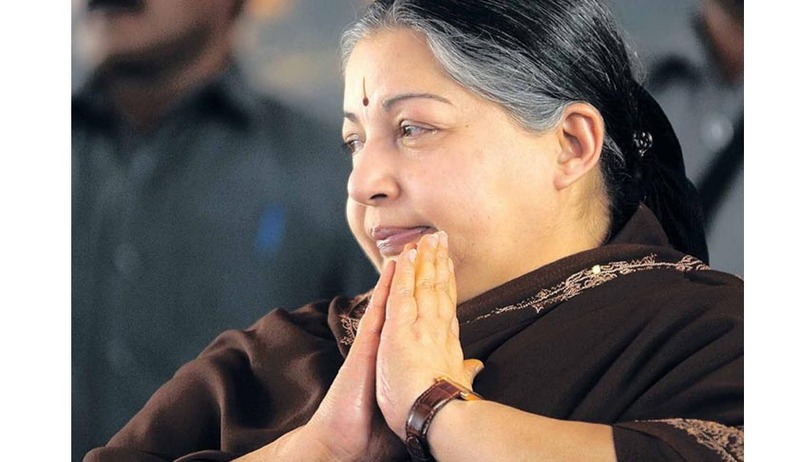 As Singh sought more time, the judge had first posted the matter for hearing on October 6, which was later rescheduled for Wednesday following pleas by Jayalalithaa's counsels. Jayalalithaa, in the petition, has maintained that the charges of amassing wealth against her were false and that she had acquired property through legal means. Jayalalithaa has also contended that the trial court has overlooked several judgments and has not considered the binding nature of various income tax orders and decisions of the Income Tax Appellate Tribunal, which had accepted the income and the level of expenditure pleaded by her. The former Tamil Nadu Chief Minister’s counsel, Ram Jethmalani demanded a suspension of the sentence, in view of the pending appeal under Section 389 of the Cr.P.C. On September 27, J. Jayalalithaa was today convicted of corruption by a Special Court in Bangalore. She has been sentenced to four years in jail, and charged with a fine of Rs. 100 crore. She has been convicted under Section 13 (1) (E) of the Prevention of Corruption Act (criminal misconduct by public servants), Section 120 (B) of IPC (criminal conspiracy) and Section 109 (abetment). The conviction would require immediate resignation from her and would also prevent her from contesting elections for the next 10 years, unless her conviction is over turned by a higher Court. Read the Live Law story here. This case has been successfully delayed for 17 years now, filing several petitions making numerous demands. The case was registered by the Directorate of Vigilance and Anti-Corruption (DVAC) of Tamil Nadu police in 1996, after the present BJP leader Subramanian Swamy moved courts and obtained necessary directions.